Up to 45ppm A4 Mono Duplex and Network MFP. Efficiency and reliability combine with a large number of standard functionalities to make this MFP perfect for your workgroup. The OKI ES5162dnw MFP can print and copy up to a fast 45 pages per minute, while the standard duplex functionality and standard reverse automatic document feeder (RADF) reduces your paper consumption and the need for office filing space. Super-fast print speeds and in-built document workflow technology including OKI’s flexible embedded platform sXP (smart Extendable Platform) make the high-performance OKI ES 7170 A4 mono multifunction printer a great, high-capacity performer for large busy workgroups. The OKI ES7170 MFP can print and copy up to a very and efficient 52 pages per minute, while the standard duplex functionality and standard reverse automatic document feeder (RADF) reduces your paper consumption and the need for office filing space. Built to perform, the ES8473 MFP delivers exceptional colour at impressive speeds, with efficient, ultra-high-capacity toners minimising running costs and user intervention. A compact, powerful A3 colour multifunction printer offering excellent print quality and copy functionality, the ES5473dn is ideal for small workgroups. Easy to use with a customisable interface, it combines low total cost of ownership with the functionality of higher-priced devices. 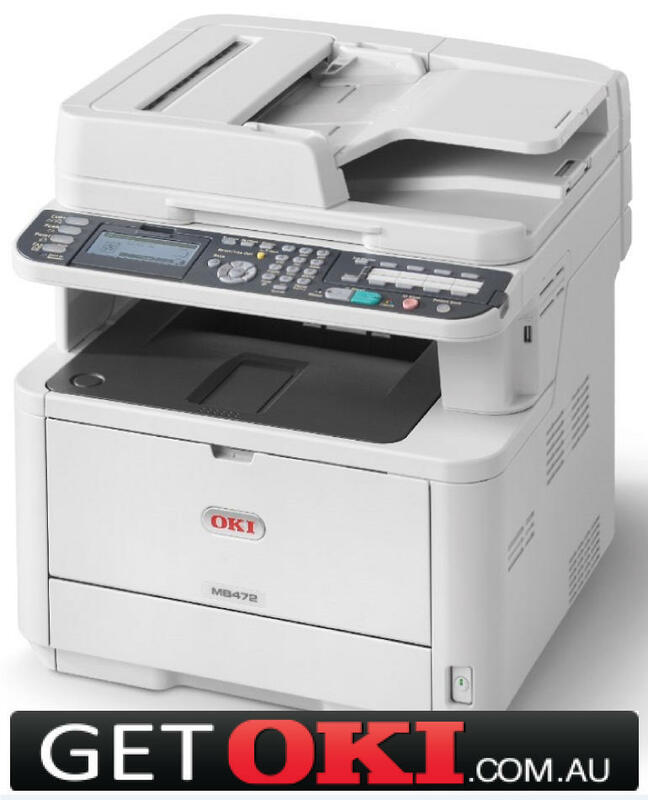 Ideal for busy workgroups, the Oki ES5473dn combines excellent print quality, scanning, fax and copy functionality with smart document management features. Compact and easy-to use, the versatile MFP contains a range of security and eco-features, lowering running costs, maximising productivity and providing fast, seamless workflow. The customisable touchscreen interface and fast, reliable performance make the ES9466 MFP perfect for the document management requirements of almost any business. This A3 copier-based colour MFP offers the powerful combination of high volume capacity with superb quality and full integration into workflows, which enables it to meet the demands of any busy department or workgroup where quality and high productivity are essential. The Canon imageRUNNER ADVANCE 2020 offers print speeds of 20 pages per minute. You can create spectacular work efficiently and effectively. The Canon imageRUNNER ADVANCE 2020 delivers exceptional quality, high productivity and unbeatable value. Fully integrating into workflows through OKI’s open platform sXP and customisable touchscreen, the ES9476 MFP is a super-fast, reliable multifunction printer that combines the highest-quality output with high volume capacity, producing great results in any business.A high-performance A3 colour multifunction printer, the ES9476 MFP is packed with advanced features that are designed to optimise efficiency while delivering professional quality output in demanding workplaces. With a small footprint, this is a device capable of super-fast high resolution printing, scanning and copying, using OKI’s smart Extendable Platform (sXP) integrates seamlessly into workflows to enable electronic document management across the business. The Canon imageRUNNER ADVANCE C3500i series A3 colour devices introduces a new dynamic to printing technology with 20/30ppm speed options, a compact footprint, and vivid colour results. This new edition to the GEN III platform is built with both the user and medium-sized offices in mind. Compact, cost effective yet enormously productive. Part of a groundbreaking new series, the imageRUNNER ADVANCE C5000i Series is a fully integrated document solution designed to complement every stage of the document lifecycle, whilst supporting your security and environmental goals. The C5000 series employs a large, tiltable 8.4 inch SVGA high definition colour screen with user-friendly icons making operation ever so easy. Users can adjust the number of buttons on screen and even the screen wallpaper, with a choice of 8 backgrounds to suit any office environment. Complex or commonly performed tasks can be transformed into one-touch-button simplicity by setting up personal workflows. The C5035i offers the crispest, most vibrant colour prints imaginable. And whether you’re printing in colour or black and white, the device offers 35 ppm output. Extensive media compatibility and a range of powerful finishing options ensure there are endless ways to enhance your communication. The imageRUNNER ADVANCE C5035/5045/5051 is a compact document solution for businesses that demand outstanding value and exceptional communication. Benefits Productive printing upto 51 ppm in colour & B&W. The Canon ImageRunner Advance C5235 embodies the core benefits of the C5200 series, and its powerful performance and output speeds make it ideal for the workplace. This compact hub of communication makes printing seamless and easy, whether from your desktop, straight from the device, or on the go. You’ll enjoy a more compact and faster document feeder, quicker warm-up time, a quieter design, customizable wallpaper, and even the ability to scan to the latest Microsoft Office formats. In addition, the standard HDD security features ensure your business’ confidential information will be kept secure. Up to 40ppm A4 Mono Duplex and Network MFP. Efficiency and reliability combine with a large number of standard functionalities to make this MFP perfect for your workgroup. The OKI ES4192dn MFP can print and copy up to a fast 40 pages per minute, while the standard duplex functionality and standard reverse automatic document feeder (RADF) reduces your paper consumption and the need for office filing space. colour image quality engineered into this Series, assures superior document handling every time. A3 Colour MFP with 3 Paper Trays & Castor Base.A compact, powerful A3 colour multifunction printer offering excellent print quality and copy functionality, the MC853 is ideal for small workgroups. Easy to use with a customisable interface, it combines low total cost of ownership with the functionality of higher-priced devices. ALL NEW SURFACE PRO6 I5128GB OR MACBOOKAIR13"